Stand with me here upon the terrace, for it may be the last quiet talk that we shall ever have. A friend who knows that I’m a) just a bit of a movie fan(atic), and b) that I’m almost as much of a fan(atic) when it comes to Sherlock Holmes, recently asked for my thoughts on the first clip we’ve seen from Bill Condon’s upcoming film project, Mr. Holmes. My initial thought? Much as I love Sir Ian, I prefer my Holmes a bit less feeble. Drawing closer to the end of his professional “amateur” life, sure; that could be a very interesting exploration. But a 93-year-old Holmes is harder for me to swallow. He seems too broken, too slight. And far too removed from all the things that made him great. I’m not sure I want to see him that fragile; that’s not the way I want to remember him. I’ll admit that I usually get a bit…misty towards the story’s finale. 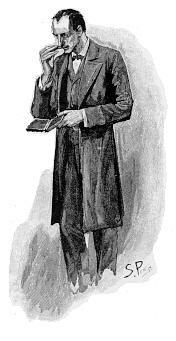 A story that ends as any great Holmes story must end, especially the last one: with a word of praise and affection for Dr. John Watson. Good old Watson! You are the one fixed point in a changing age. 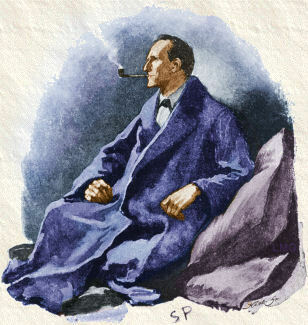 Attribution(s): Twisted Lip” by Sidney Paget via ArtInTheBlood and licensed under Public Domain via Wikimedia Commons; “Sherlock Holmes” by Sidney Paget, licensed under Public Domain via Wikimedia Commons; “Paget’s Illustration for ‘The Adventure of the Cardboard Box'” via Toronto Public Library (Special Collections) and licensed under CC BY-SA 2.0 via Wikimedia Commons (license).